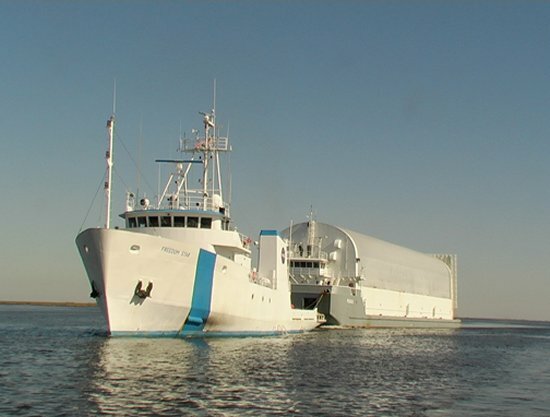 Last week, one of NASA’s Space Shuttle Solid Rocket Booster Recovery (SRB) ships, the Liberty Star, sailed from its dock at Cape Canaveral Air Force Station, picked up the tow of NASA’s Pegasus barge and headed south along the Atlantic coast, through the Straits of Florida, and across the Gulf of Mexico to the Port of Gulfport, Gulfport, Miss. The Liberty Star arrived at Gulfport, Miss., today, October 13. Two small tug boats then picked up Pegasus and towed her to Michoud Assembly facility in East New Orleans. In the early morning hours of Friday, October 16, Pegasus will arrive back in Gulfport where Liberty Star will again take the barge in tow and begin the return voyage back across the Gulf and the Straits of Florida to deliver a very important passenger to the Kennedy Space Center. It’s a journey the Liberty Star and her sister ship, the Freedom Star, have made repeatedly since 1996. That year the booster recovery ships were pressed into service to tow Pegasus for the major part of the voyage between Michoud Assembly Facility in East New Orleans in lieu of using commercial tug boats the entire distance. 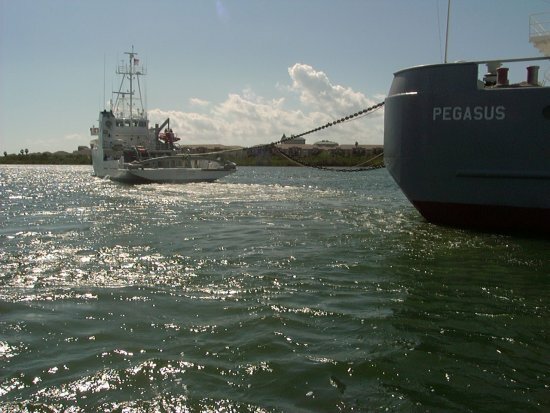 As mentioned above commercial tug boats are still used to tow Pegasus at the very beginning of the journey in Louisiana and Mississippi and during the final miles in a shallow and narrow channel to the turn basin in front of the Vehicle Assembly Building at the Kennedy Space Center. The very important passenger (VIP) that needs to be delivered to the Kennedy Space Center, on time and in good shape, is one of the most important elements of what is known as the “Shuttle Stack,” the complete towering Shuttle Transportation System. The “Stack” includes the Orbiter, the three Space Shuttle Main Engines, the two reusable solid rocket boosters and motors and the very important passenger that will ride the Pegasus; an external tank numbered 134. ET-134 will be the backbone of the “Shuttle Stack” and the gas tank for the space shuttle main engines for the February 2010 launch of space shuttle Endeavour’s flight to the International Space Station, mission number STS-130. NASA public affairs officer, Steve Roy (that’s me) of the Marshall Space Flight Center, will travel on board the Pegasus and Liberty Star to give you some insight into NASA’s maritime operations and life on board the vessels that make these important 1,800 mile round trips, as well as the story of the VIP of the trip, ET-134. Steve will be joined by NASA television producer Mick Speer of Marshall Television, a former U.S. Navy photographer and television production specialist. Steve will blog via the NASA portal several times a day with updates, images and video. To begin I’d like to explain the relationship between SRB recovery ships, the Pegasus barge, Michoud Assembly Facility and my NASA center, the Marshall Space Flight Center in Huntsville, Ala. The Marshall Center exercises overall management responsibilities for NASA’s Michoud Assembly Facility where the external tanks are built by Lockheed Martin. 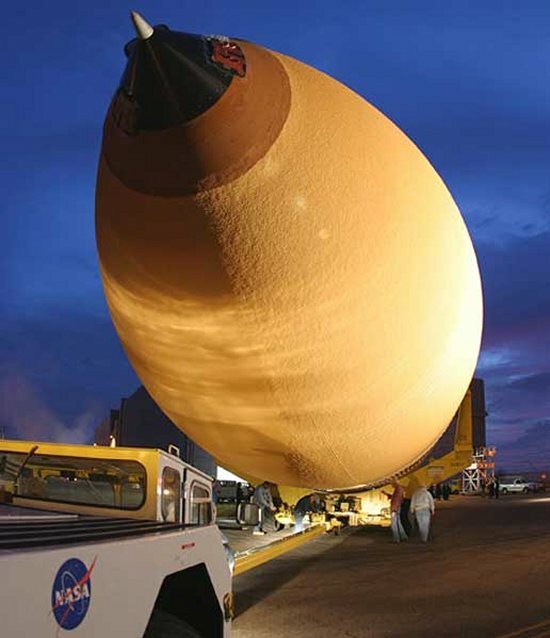 Marshall also has management responsibility for the manufacturing, assembly and delivery of the external tanks as part of the space shuttle transportation system, as well as the solid rocket boosters and motors and space shuttle main engines. 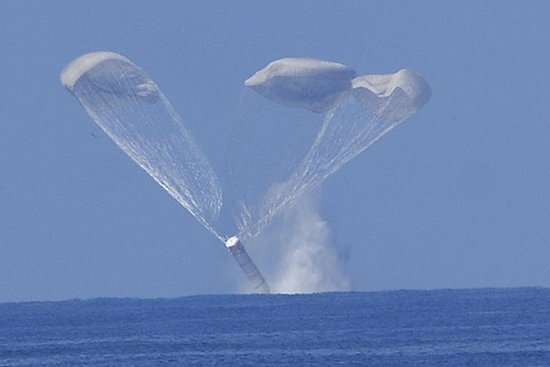 Management responsibility for the solid rocket boosters includes their recovery at sea. 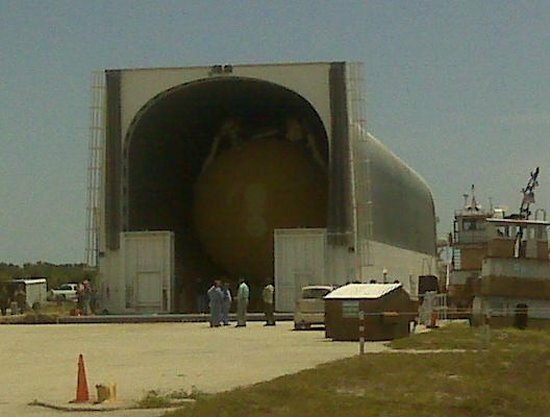 The prime contractor under Marshall for booster recovery is United Space Alliance (USA) in Cape Canaveral. USA runs all aspects of day-to-day maritime operations for NASA including training crews, readiness of the NASA fleet, real time booster recovery operations, and towing external tanks for the majority of the trip to Kennedy Space Center. I am the NASA public affairs officer with responsibility to support all aspects of the external tanks, reusable solid rocket boosters and motors and the space shuttle main engines. Thus by definition, and lucky for me, I am the NASA public affairs officer, along with the public affairs staff of United Space Alliance, with responsibility to support the role of the recovery ships, Freedom Star and Liberty Star, as well as the Pegasus barge. I am but one spokesperson in a greater NASA public affairs team that supports space flight operations of the space shuttle, expendable launch vehicles and the International Space Station. That team includes the public affairs space operations teams at NASA Headquarters, Washington D.C.; at Johnson Space Center in Texas; at the Kennedy Space Center in Florida; at Stennis Research Center in Mississippi; and the team at Marshall Space Flight Center in Alabama. The space operations public affairs team also includes other public affairs representatives at United Space Alliance (USA), which includes the major orbiter subcontractor Boeing, in Florida and Texas; Lockheed Martin/Michoud Assembly Facility (LM/MAF builds external tanks) in Louisiana; Pratt Whitney Rocketdyne (PWR) builds space shuttle main engines) in California and Florida, and ATK (ATK builds RSRMs) in Utah. Sounds complicated uh? It’s not so bad when you’re in the middle of it. Let’s get ready to go. Grab your binoculars, flip flops, sun screen, folding chair and snacks and head to your computer. Join the voyage and Sail with NASA!